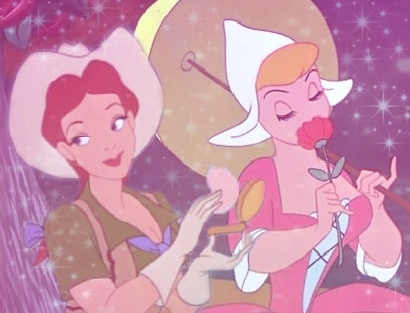 Katrina and Slue Foot Sue. . Wallpaper and background images in the 儿童动画电影中的女主角 club tagged: disney heroine. This 儿童动画电影中的女主角 photo contains 动漫, 漫画书, 漫画, 卡通, and 漫画卡通.